Degreasing and cleaning formulation in concentrated form. Removes dirt and grease, thus preparing galvanized steel, steel and iron cast surfaces for painting. For outdoor use. 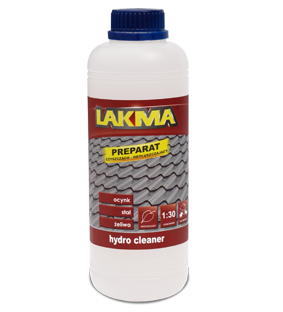 This product is intended for the cleaning and preparation of steel and galvanized surfaces for painting. Removes contamination that can affect the quality of paint coatings, i.e. oils, lubricants and ionic contaminants. Can also be used for cleaning steel, cast iron and non-ferrous metals, both for new and previously coated surfaces.